The Tirumala Tirupati Devasthanams is gearing itself for the grand conduct of Vaikunta Ekadasi and Dwadasi festivals scheduled for December 18 and 19, according to its Joint Executive Officer KS Sreenivasa Raju. Micro-level planning with regard to meeting the requirements of the pilgrims had been done and related engineering works would be taken up from November 25. Temporary sheds would be erected around the Mada Streets, Alwar Tank and Narayanagiri Gardens with defined entry and exit gates, he said. JEO said modalities were being worked out to check the growing irregularities in the online booking of Arjitha Seva tickets. Possibilities were being explored for the introduction of a single mail id or mobile number for booking tickets. 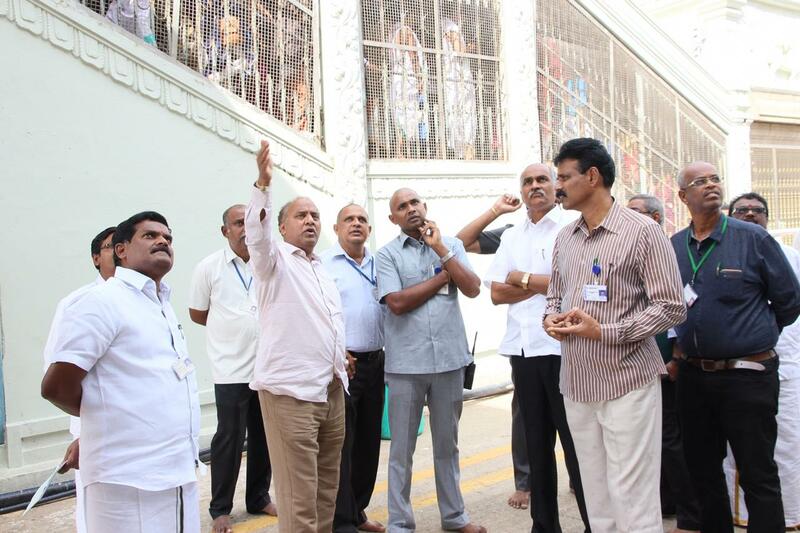 The management has also revived the package of extending special darshan facilities to senior and special devotees besides parents of children under five years twice during a month. While the former section of devotees would be allowed in additional numbers on November 20 and 27, the latter would be allowed on November 21and 28.